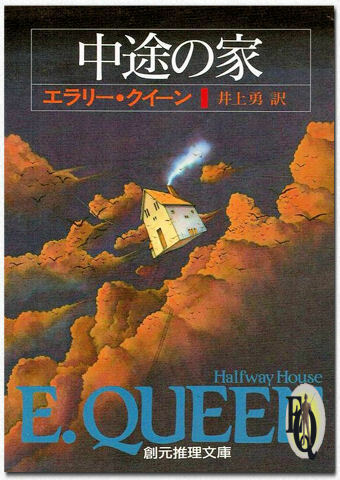 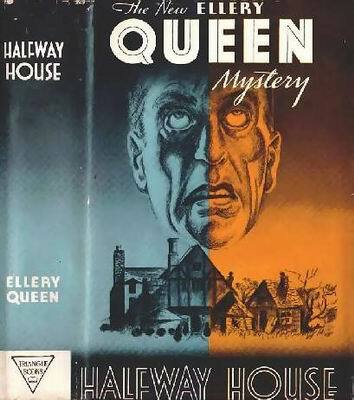 ﻿ Halfway House - Q.B.I. 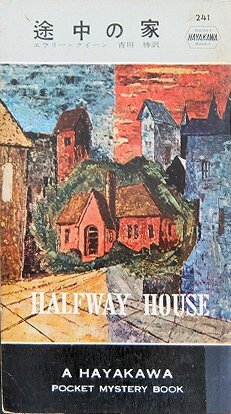 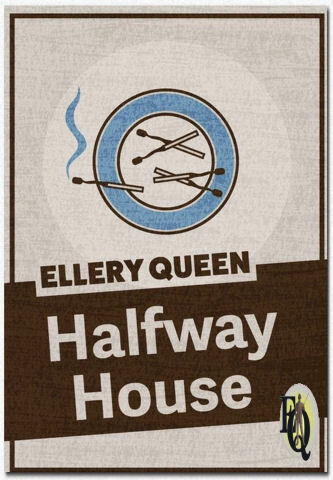 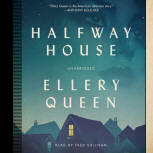 Halfway House, where a strange man finds final rest on his tortured journey through life . 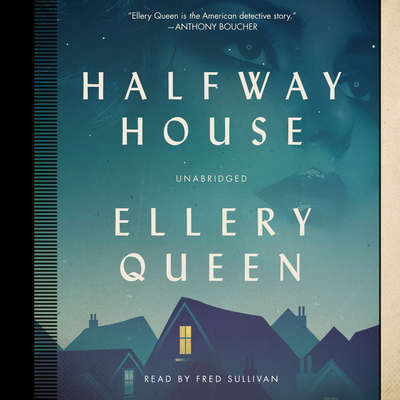 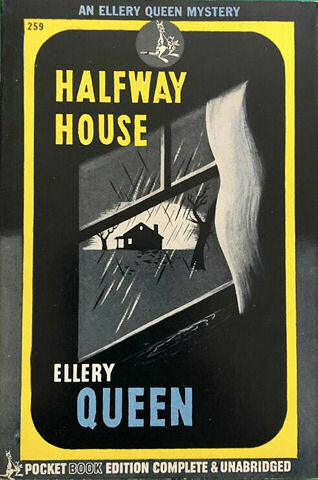 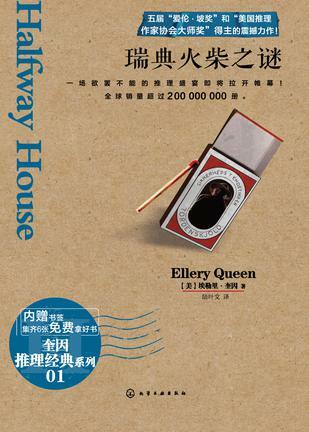 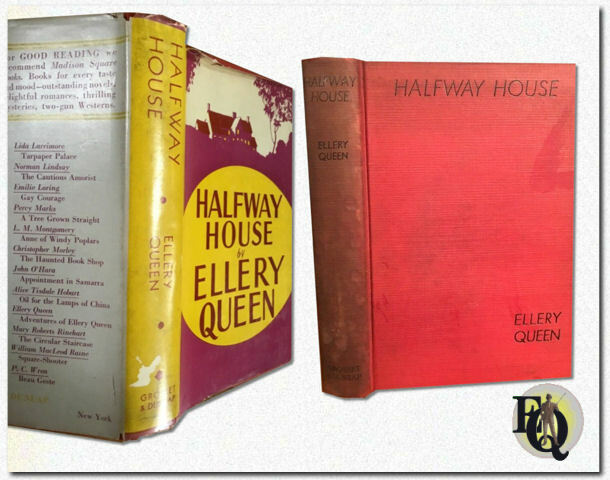 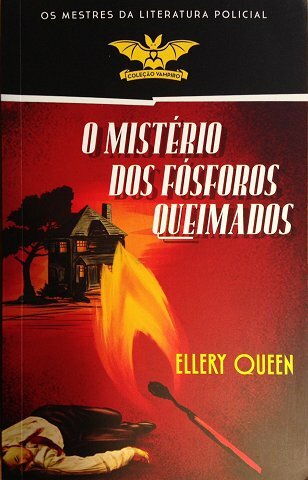 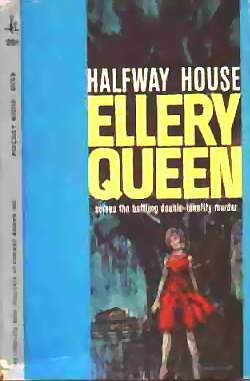 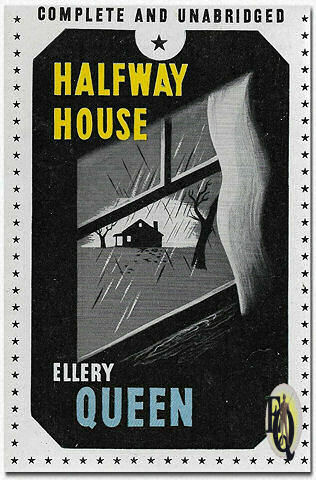 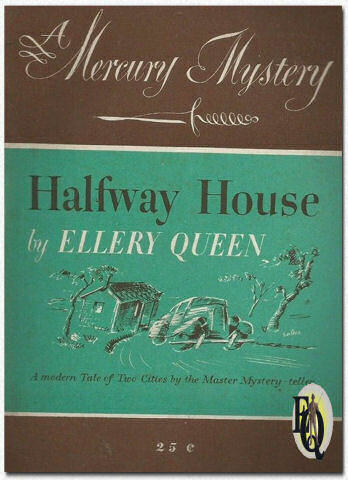 . . Halfway house, where, under the grim shadow of a sensational murder, opposites meet and clash -- common peddler and financier, young housewife and cold society woman, struggling lawyer and millionaire debutante... Halfway house, where Ellery Queen, crime consultant to the world-at-large, returns to his old love of pure and pungent deduction in what is unquestionably his most fascinating narrative of real people and subtle violence. 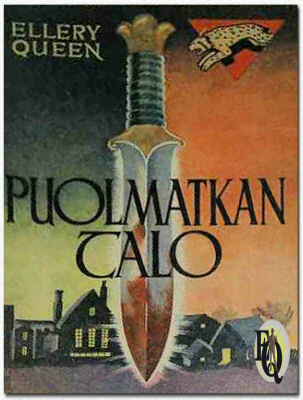 The victim had lived two lives, but a single knife thrust ended both of them. 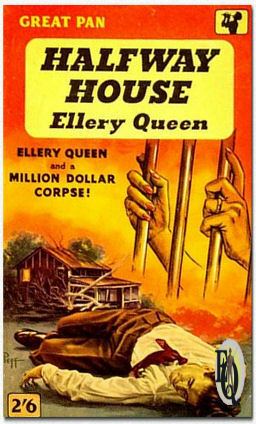 The trail of suspicion led into the guilt-edged world of the beautiful people—and climaxed in a vicious courtroom battle that ended with a shattering verdict. 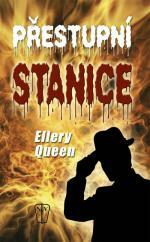 It seemed that for the first time Ellery had met his match—until the sleuth blended his usual impeccable logic with a most unusual fling … . 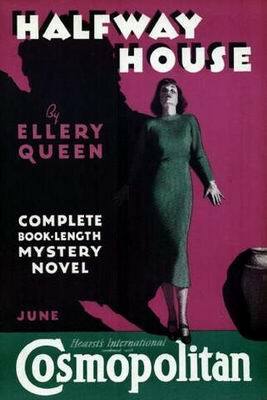 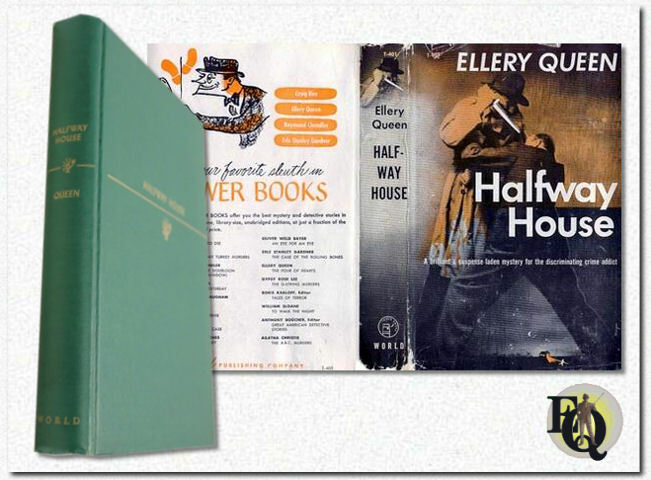 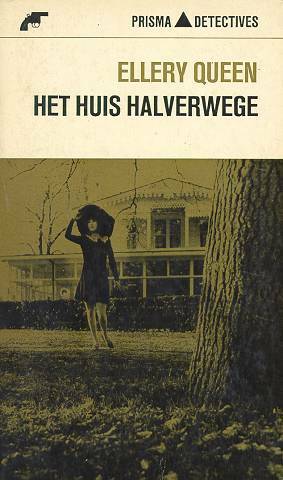 Halfway House appeared in full in 1936's June edition of (Hearst's International) Cosmopolitan. 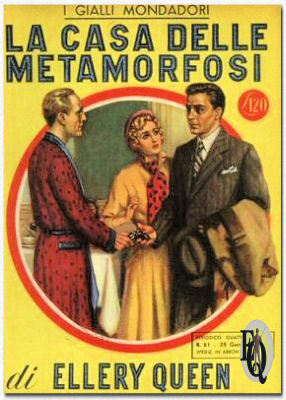 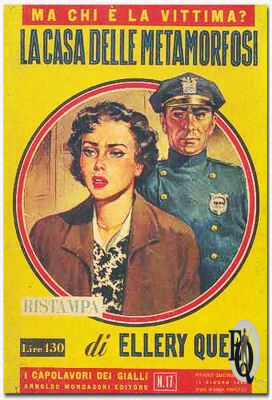 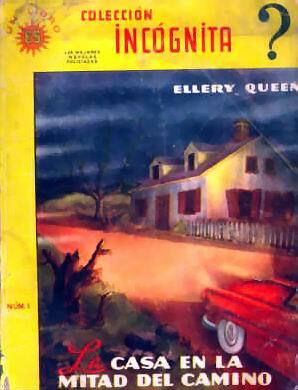 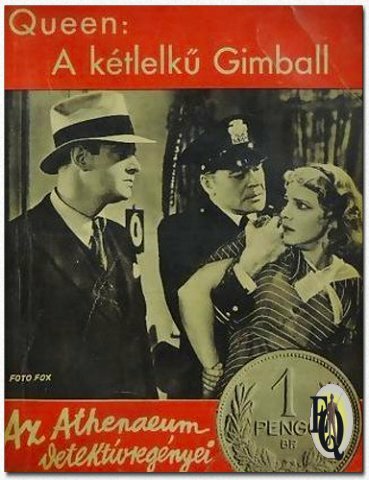 Nash's Pall Magazine also owned by Hearst had published the story in 5 parts between May and September 1936. 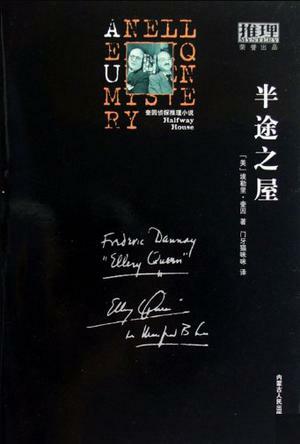 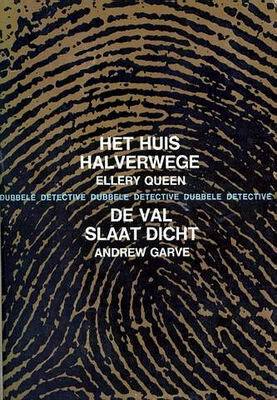 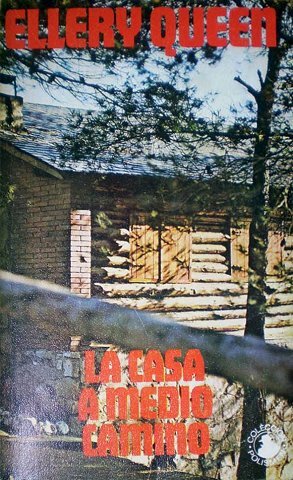 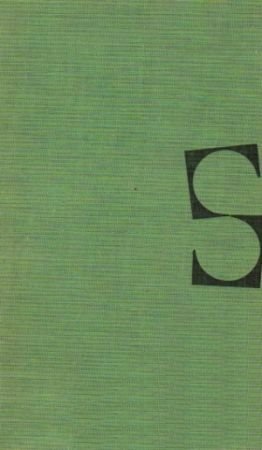 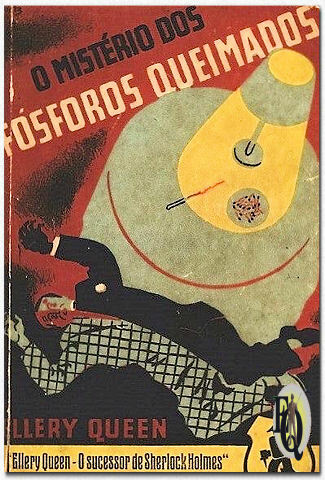 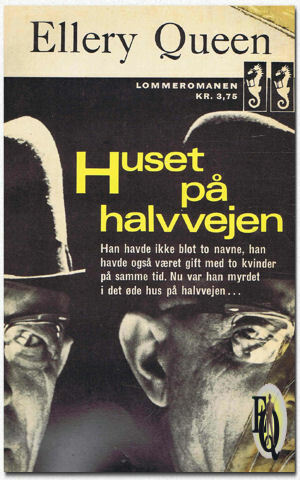 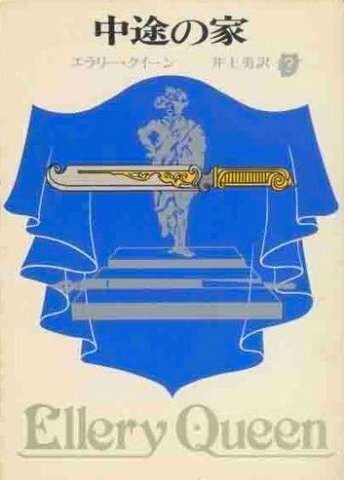 In his foreword Ellery points out to JJMcC that the book might have been called The Swedish Match Mystery but it was not. 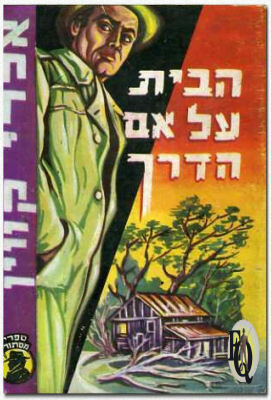 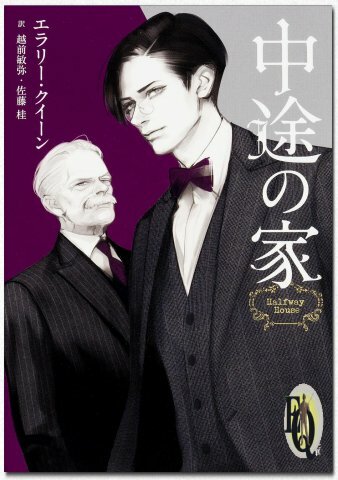 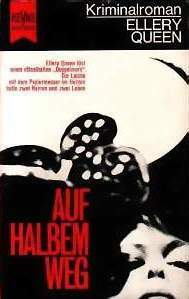 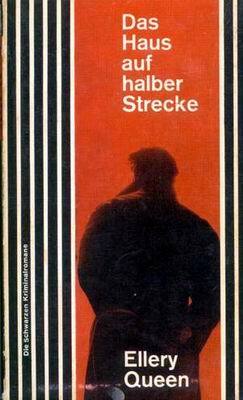 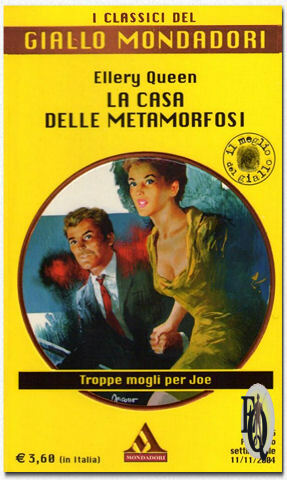 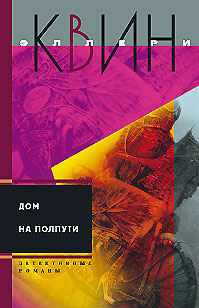 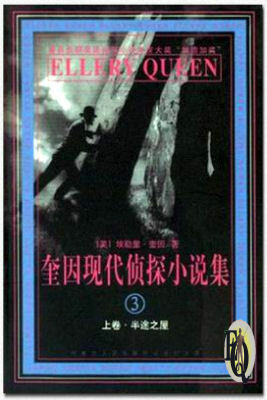 It did however keep the subtitle of its predecessors "a problem in deduction". 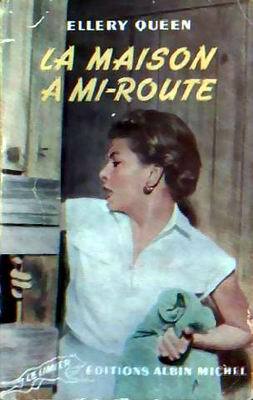 The departure from the "national" format was more than appropriate as it marks more than one shift. 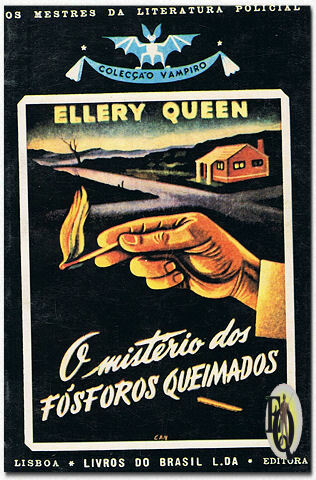 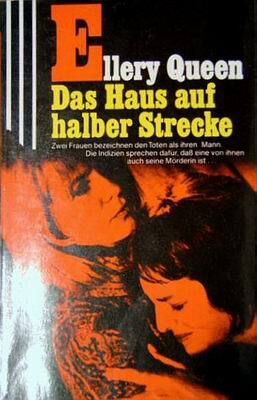 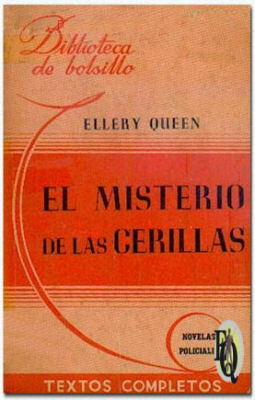 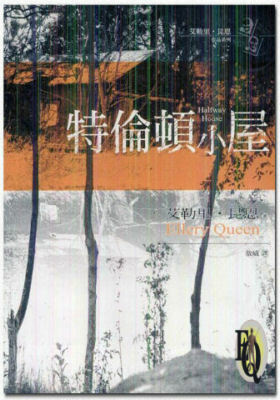 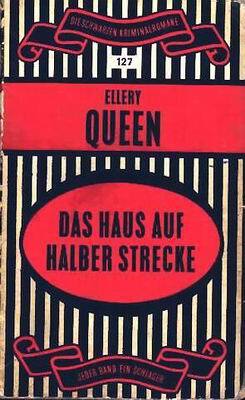 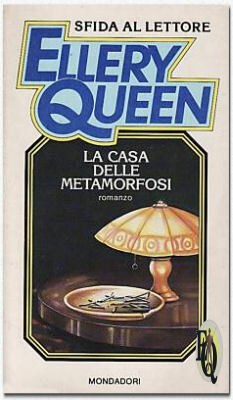 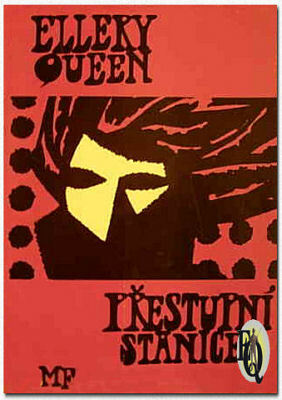 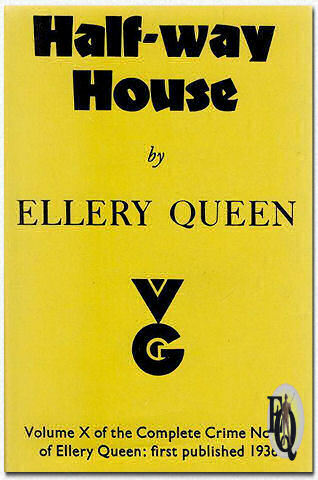 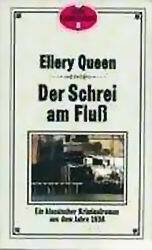 Although Queen's earlier work had been published in so-called women's slick magazines, it wasn't until Halfway House that it's influence took hold of the writing. 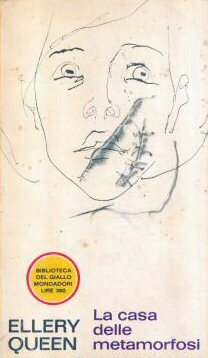 The stories evolved with a reduction in cast of characters, a scaling down of the pure puzzle-element and a decline of the fair play rules. 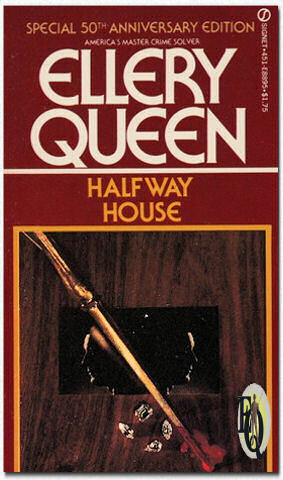 Halfway House is the last to contain the Queen "Challenge" which made him so distinct. 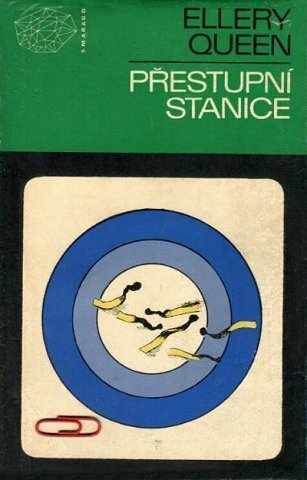 (reappearing only in The Finishing Stroke.) 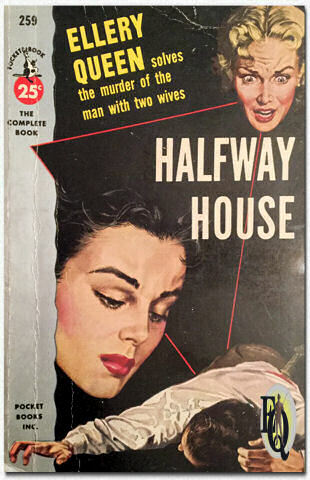 Although being well conceived the puzzle is simpler, great attention is given to the trial of the culprit and several human interest stories were mixed in with the mysteries. 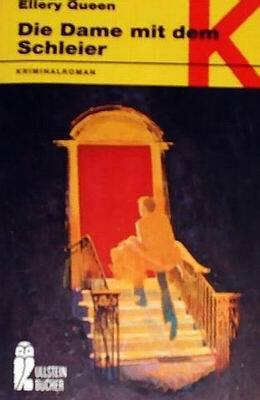 Probably because it was his first step after his "Golden Age" period it still stands as one of the better stories of the time. 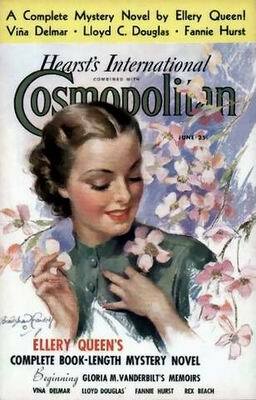 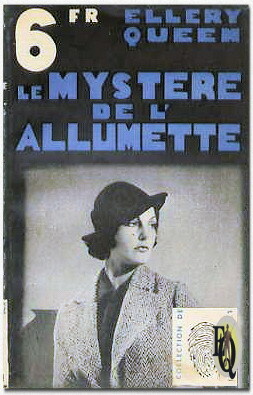 Above right: Page in Cosmopolitan June 1936: first publication of this story. 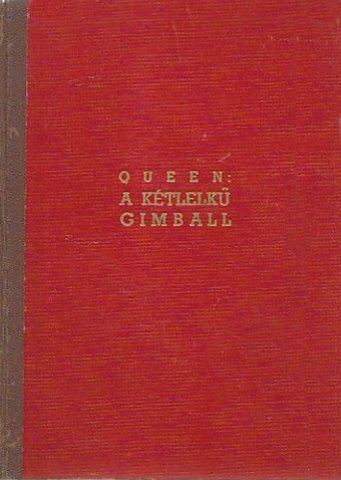 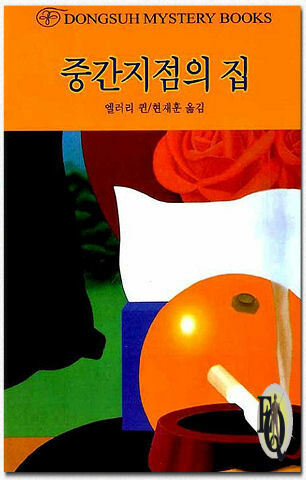 Click for cover.